The home of the world heritage Kazan Kremlin. Kazan offers an unforgettable experience for any visitor, the city’s diversity of architecture, religion and the hospitality of the locals. Even if they don’t speak any English they will go to great lengths to help you. 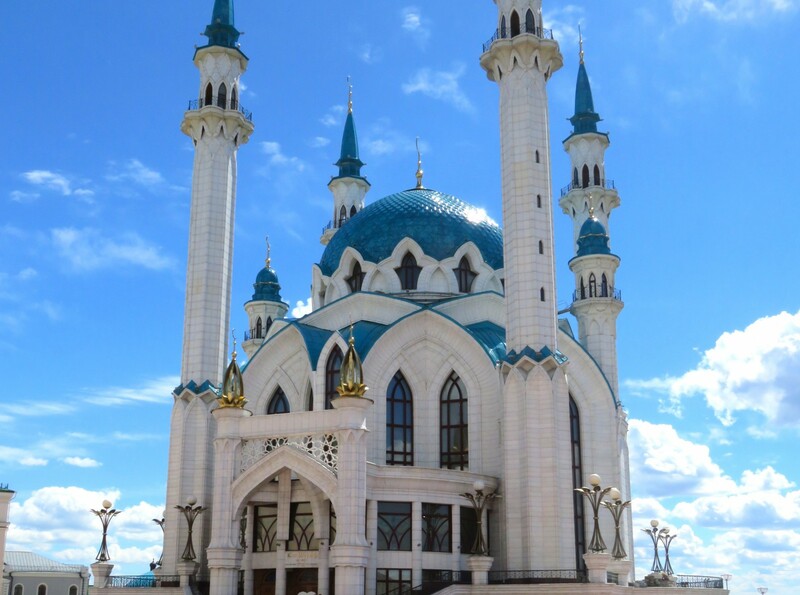 Kazan is the capital of Tatarstan, one of the few majority Muslim republics of the Russian federation. Once seat of the powerful Kazan khanate, the city was conquered by the Russian tsar Ivan the Terrible in 1552. The majority of Tatar’s population were then murdered or expelled. With the wars between Moscow and Kazan khanate now consigned to the history books Kazan today is one of the country’s fastest developing and most prosperous cities. Tatar is the official language along with Russian but since 2017 it is no longer obligatory in schools, raising concerns over its status in the long-term. Russian is widely used as a universal means of communication, with street signs and official documents in both Russian and Tatar. Kazan’s recent economic success has led to the new construction or renovation of many cultural and religious sights, primarily the spectacular Qolsharif Moque and the Kazan Kremlin fortress, which offers a view of the old football stadium. Both the Qolsharif Mosque and Kazan Kremlin would be obvious places to start. 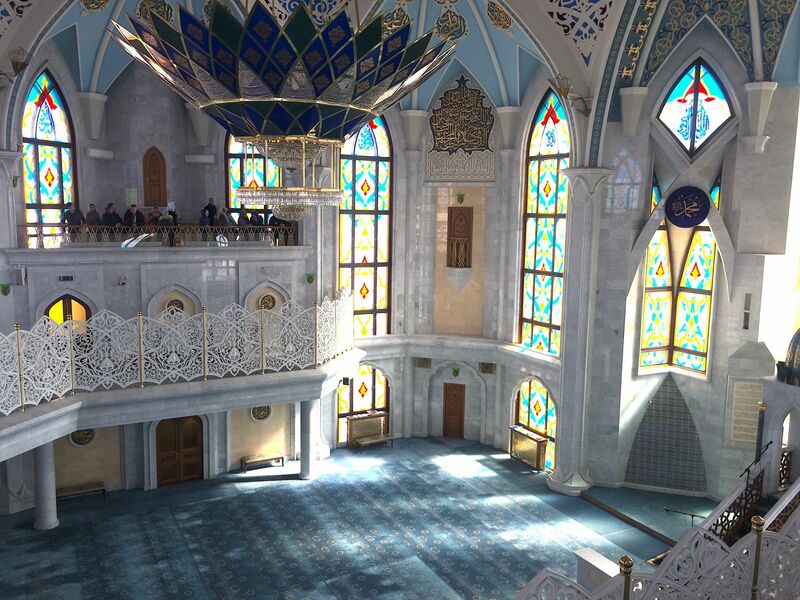 The mosque features a museum of Islam and tells the story of the original mosque destroyed in 1552 at the same location. The rebuilt Qolsharif was opened in 2005 as part of Kazan’s millennium celebrations. The pedestrian Baumana street features the main bars and restaurants, as well as plenty of small monuments and historical sights. Further down you can visit an entertainment and cultural centre reconstructing a Tatar village, Tugan Avylym. Some of the older Tatar buildings can be found in the area around Mardzhani mosque. Kazan also has plenty of nature to offer in the city centre, including the recently renovated Black lake park. One of the true wonders of Kazan is the ‘Temple of all religions’, an architectural complex featuring elements of 16 major world religions and their symbols. Some 20 minutes taxi ride from the centre, it does however slightly lack tourist infrastructure, with little being done to preserve the impressive and unique building. The temple is a concept of Ildar Khanov, now deceased, a Kazan enthusiast who carried out the vision he had to create something to represent all world religions and philosophies in one building, symbolising the unity of humanity. The club ‘Slivki’ is located at Pushkina str, 60, corner with Karl Marx street, 40. Most of the central part of the city is safe for minorities. The Kazan police were one of the first in Russia to apply a very strict approach to any far-right paraphernalia in football stadiums, confiscating neo-Nazi paraphernalia and banning people from entrance. At the same time, the police in Tatarstan have a reputation for being tough on people on the streets, an example being during the Confederations Cup in 2017 when people celebrating on the terraces of bars at Baumana street were asked to disperse at midnight. Some good advice would be to follow their instructions - don’t try to argue or touch them. The population is divided almost evenly between Russians and Tatars, with a number of smaller minority groups represented by their community organisations in the House of the Friendship of Peoples of Tatarstan. Economic development and investment over the past decade has attracted labour migrants from across Russia and Central Asia, who moved not least due to a number of international sporting events hosted by Kazan. Kazan is known for its reputation of interethnic and religious harmony. During the Confederations Cup in 2017 we walked around the centre with an African Muslim who wore a hijab and an abaya dress, she received smiles and welcome glances throughout. The city was shocked by the brutal murder of a student from Chad in February 2017. The perpetrator confessed during the investigation that he was part of a neo-Nazi gang attacking ethnic minorities and one of the places where he radicalised himself and recruited members of the gang was the football stadium. Kazan synagogue serves as the center of Jewish community life with regular events and activities around religious holidays. There are no active LGBT+ community organisations in Kazan but the vibrant central streets with the many bars and cafes will be welcoming, particularly around match days.